Being first isn’t always a good thing! Blossom end rot is easily recognized by the flat, leathery area on the blossom end of the fruit opposite the stem end. This condition is often first seen when the fruit is about half grown and continues as it matures. This is not a disease but a non-parasitic disorder that is most common on tomatoes. Blossom end rot is the result of a calcium deficiency in the blossom end of the fruit. Calcium is required in relatively large amounts when fruit is growing rapidly. If demand exceeds supply, deprived tissues break down leaving the characteristic leathery bottom. This may be the result of low calcium levels in the soil (rare in Kansas) but can also be caused by a sharp change from cool to hot weather, extreme soil moisture fluctuations, drought stress, root damage due to deep cultivation or waterlogged conditions, or excessive growth due to too much nitrogen fertilization. Blossom end rot due to less than adequate uptake of calcium because of a limited root system will correct itself as the plant compensates by adding more roots. Typically it occurs early in the season. Maintain soil pH around 6.5 as shown by soil test. Do not assume that blossom end rot is sure evidence that the soil lacks calcium. Other conditions that interfere with calcium uptake can cause calcium to be demanded in higher quantities than the plant can physically supply. Use a nitrate nitrogen rather than one that releases nitrogen in the ammonium form. Excess ammonium ions reduce calcium uptake. Also make sure that the plants are not overfertilized especially when the fruit are small. 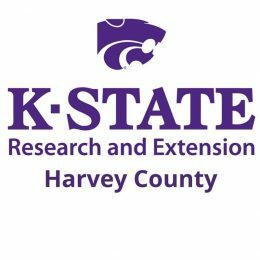 Usually 1½ pounds of a 10-20-10 fertilizer applied before planting is sufficient for tomatoes though sandy soils may need monthly side dressings. Maintain even soil moisture. Mulches conserve moisture and moderate soil moisture extremes. Even with mulches, weekly irrigation will be necessary if there is no rain. Fluctuations in soil moisture often leads to an increase in blossom end rot. Make sure tomatoes are planted in an area with good drainage. Excess water causes roots to smother leading to reduced calcium uptake. Do not hoe too deeply. Deep hoeing can damage roots and thereby reduce calcium uptake. 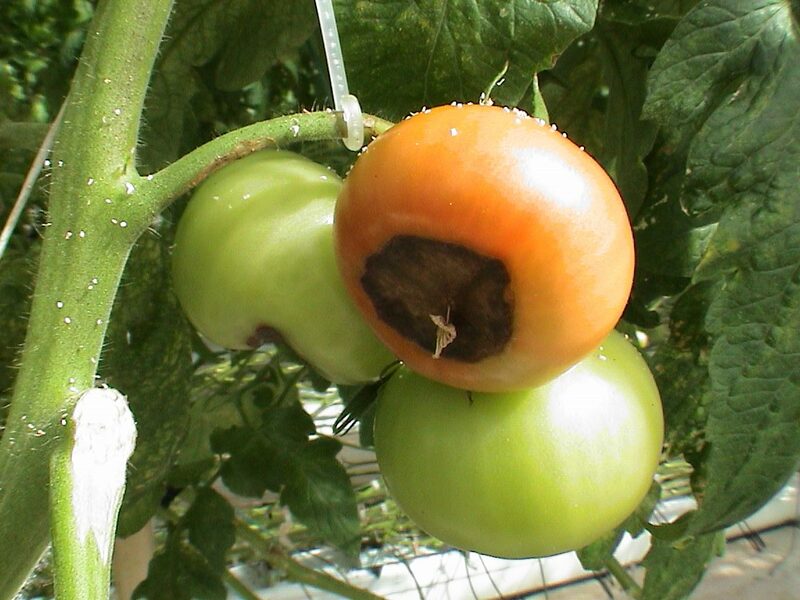 Blossom end rot can occur even to well cared for plants if weather conditions are favorable. Fortunately, the condition normally corrects itself in a couple of weeks. Gardeners may wish to remove damaged tomatoes to allow more energy to flow to the remaining unaffected fruit.